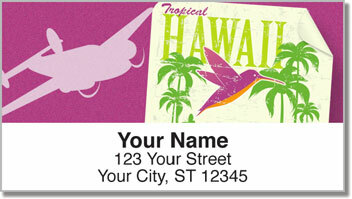 The retro-style featured on these return address labels is what you may have found on posters inside a travel agency during the 1960s. Unfortunately for some travel agents, the internet now allows most of us to book our own flights and schedule business trips or vacations. But those eye-catching ads that entice tourists live on with this design. 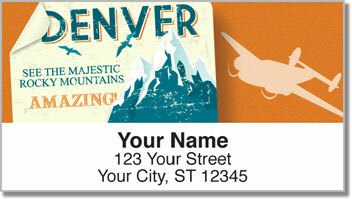 These labels make an attractive finishing touch for your outgoing mail - especially if you love to travel. But they'll also save you time at home and around the office. Just peel and place thanks to a handy self-adhesive backing. 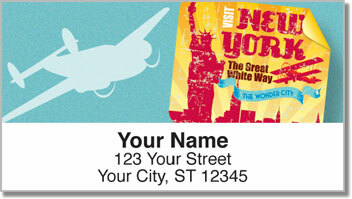 Make our Vintage Travel Address Labels yours today! 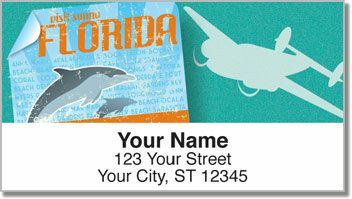 Get them with a set of matching personal checks to make your order complete!